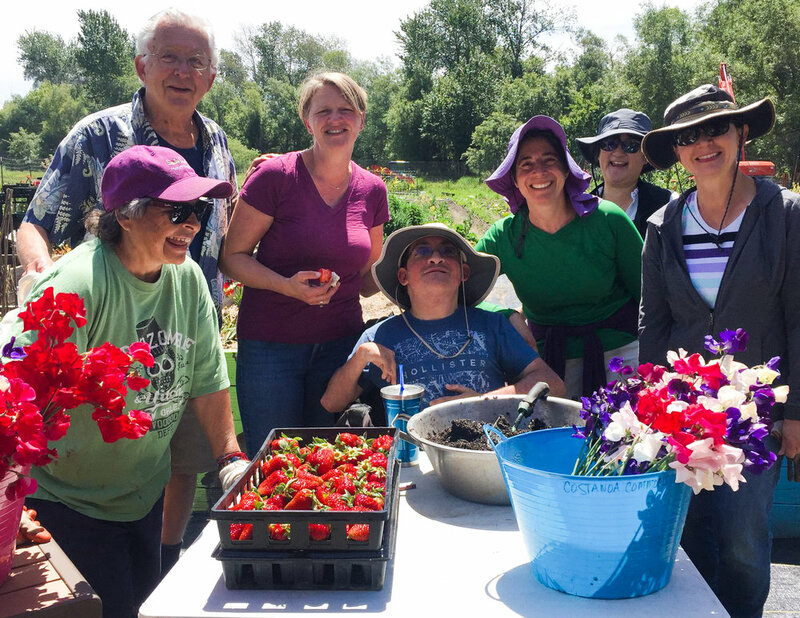 At Common Roots Farm (formerly Costanoa Commons), people with and without disabilities can participate on our urban community farm, taking care of plants and animals, and creating friendships with one another that sustain everyone. We grow a variety of vegetables, herbs, fruit and flowers while providing farm skills training, internships, environmental and gardening education and micro-enterprise opportunities on approximately four acres right in the heart of Santa Cruz, CA. Click below for quick access to our Spring Work Day Info Page, our Logo Contest Page and our CSA signup! Find out about our organization, mission, and why we do what we do. Looking to get involved? Come join us out on the farm! Check out what activities, classes, and events we have going on!